The Legislature should have spent more money to prevent wildfires, which would be a truly conservative investment that saves money. AFTER two nasty wildfire seasons that claimed lives and cost more than a quarter of a billion dollars to fight, the Legislature ignored the lessons learned. Lawmakers refused to look ahead and invested a relative pittance on fire prevention, better training, management and equipment for fire crews. Penny wise and pound foolish does not even begin to describe it. 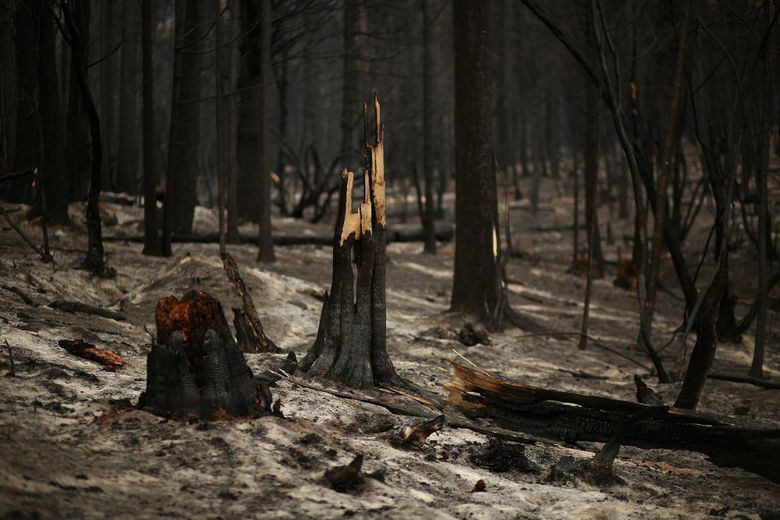 Lawmakers covered only the cost of last year’s fires on more than 1 million acres with $190 million from, ironically, the rainy day fund. The money literally went up in smoke. Washington has suffered through back-to-back record breaking wildfire seasons, with no expectations of natural conditions or reckless human behavior improving. The Legislature can pinch pennies, but Mother Nature is not impressed. In response to the reality on the tinder-dry ground, Public Lands Commissioner Peter Goldmark had asked for $24.2 million to create and improve all the elements and layers of a safe, effective response to wildfires. The Legislature instead provided the state Department of Natural Resources with a $6.7 million emergency appropriation to prepare for a fire season that begins this month and might only grow more intense. Last year, more than 8,500 firefighters and personnel were deployed to fight record-breaking wildfires. In response, Goldmark sought funding to improve training and command, modernize communications equipment and better coordinate the use and disposition of professionals, volunteers and private contractors. Goldmark also sought funds to prepare the forests to better withstand wildfire threats, by reducing fuel loads and debris. Money was requested to help local fire districts with grants and aid for equipment and training. DNR reminds us the 2015 fire season destroyed 499 structures, 307 primary residences, 21 commercial structures and 171 outbuildings. Eastern Washington’s open spaces, forests and communities bore the brunt of the losses, pain and trauma. Spending a little money to save a lot of money is good public policy. The Legislature missed an opportunity to make an easy, conservative investment in protecting lives, property and the environment.